During October 19-21, 2018, scouts from around the world will make contact to other scouts and ham radio operators via amateur radio frequencies and modes. 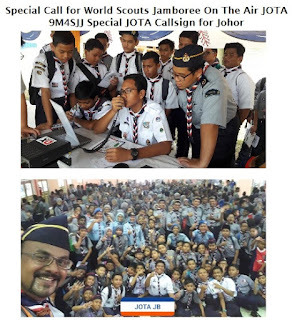 The event is called Jamboree On The Air (JOTA). 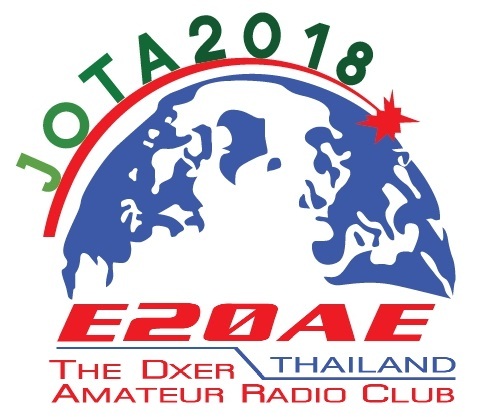 This year The DXER Clubstation (call sign E20AE) and its members will be prompt to chat with scouts from around the world. All scouts are welcome. (Please contact your local amateur radio club for assistance in operation and legal aspects.) See you on the air! 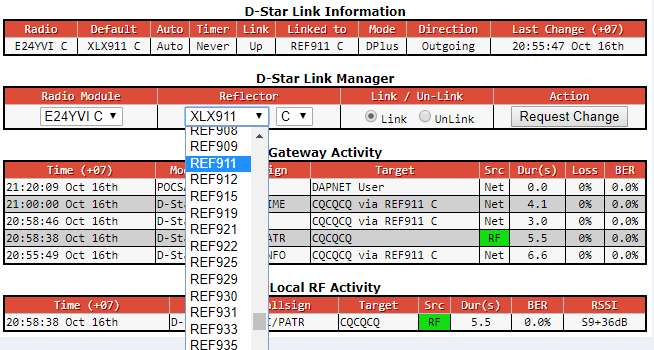 Step 1: Check D-Star Link Manager. If “REF911” “C” or “DCS911” “C” reflector is available, you can select either of them. Select XLX911 C as shown in picture below. 3.3) After all, you can check if the link is done successfully. Then click "Repeaters / Nodes" at the yellow bar on the web page. If the link is success, you will see your call sign in the table below it.